Do you like to add color to your horses wardrobe? 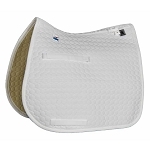 At Euro Horse Designs we have a great selection of saddle pads from top European Brands such as Catago and Waldhausen. These brands come with matching accessories like bandages and fly veils. 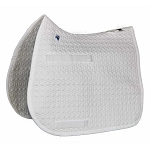 For extra protection under the saddle we have the best quality sheepskin pads on the market from Mattes. Customizable in your choice of colors to suit your style.